Taylor's life is in ruins; his face publicly known for crimes so bloody and awful. He does the only thing that could possibly help him in the situation - he walks through the door of a police station and turns himself in. With no resistance and full compliance, Taylor recounts the most horrific time of his life, where a monster haunts his every step - a brutal game, where fear is in full effect. This book certainly doesn't mess around; it plunges you neck-deep into the chaotic life of Taylor, a suspected murderer whom swears innocence despite the evidence against him. I found myself instantly drawn in to his situation where I, too, questioned his very sanity, whilst also sympathising with him on some level. Hunt's intention was quite clear from early on - a fast-paced, thrilling concoction, meant to keep you on your toes. The one thing that really impressed me was the twists and turns that genuinely shocked me - all too often I foresee a typical plot direction and it ruins what's supposed to be surprising, but Hunt was able to expertly weave the unexpected and force me to reanalyse what I thought I already knew. I can't give enough credit to tales that make you pause and think; authors can certainly mess with their readers and bring the unpredictable. At no point did boredom raise its pesky head; too much was happening. What started off as Taylor's recount of his last forty-eight hours of forcibly taking part in a game of hide and seek, turned into a grisly manhunt of murder and mayhem. 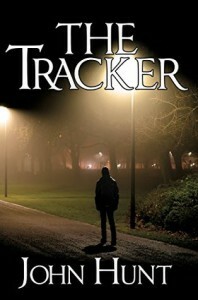 The aspect of "The Tracker" and how he was able to influence his victim was an interesting one. He didn't seem to have any intention other than to toy with his prey and use their own suppressed hate against them. I really wish more information was offered regarding him, and if he had any other motive than just chaos. I admit, I had to re-read this confusing pile of words about five times, and even then I had a hard time of discerning it. What should have been at least two sentences, were fused together to create something that just didn't work inside my head. Throughout the entire book, the quality reached both highs as well as lows, giving the impression that certain parts were rushed, whilst others more thought through. I believe it could have benefited from more editing to tighten it up, and thus make it overall easier to read.